performed using only one input source to the queue. Create your own, newly created simulation program for simulation of the queue. 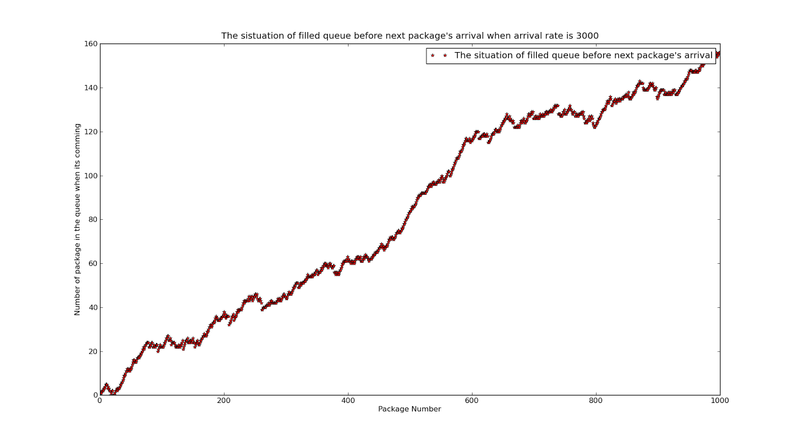 Your purpose will be to simulate the performance of the queue for various packet arrival rates. 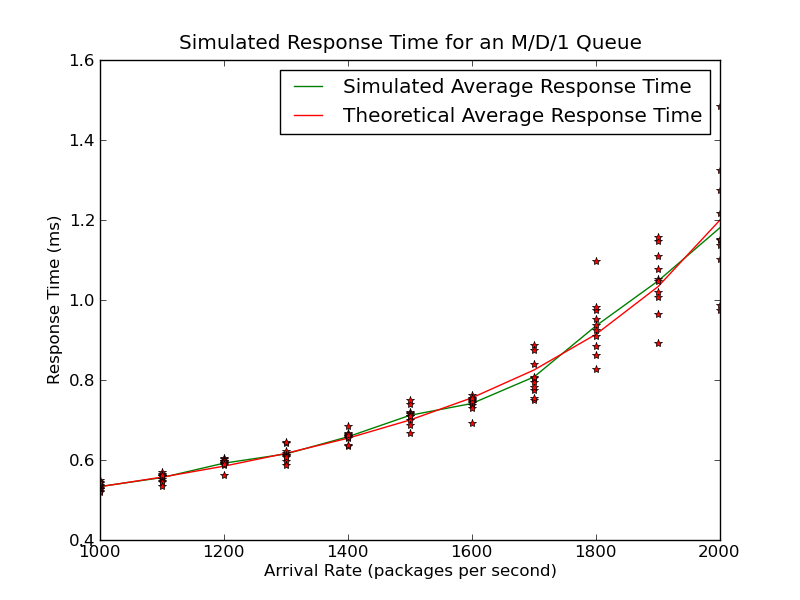 the average response times for packets through the M/D/1 queue across several simulation runs. 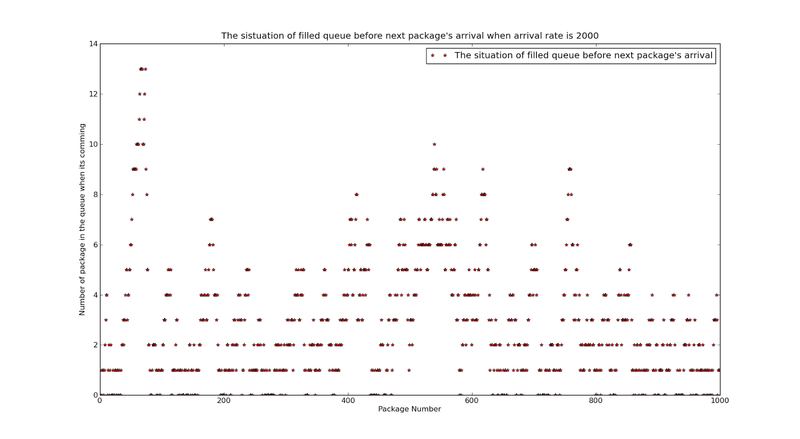 The simulation time should be long enough to simulate 1000 packet arrivals. given by the following equation. 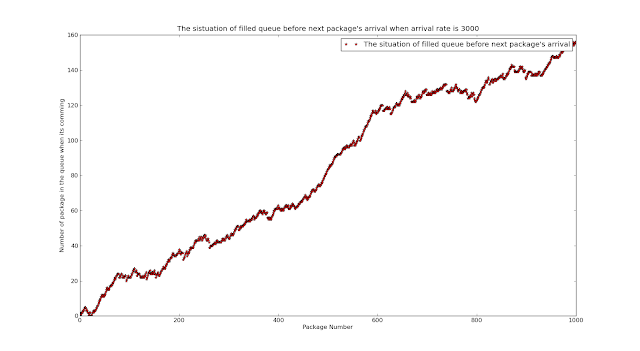 the second plot should be for an arrival rate of 3000 packets per second.